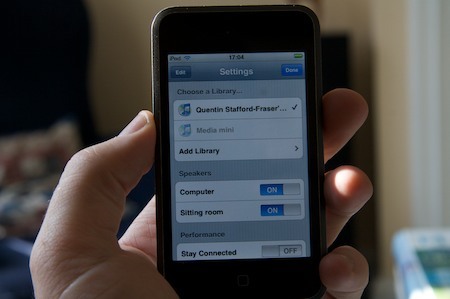 One of the neatest apps to be released for the new iPhone/iTouch software is Apple’s Remote, which connects to a copy of iTunes running on a machine on your network and allows you to control it from the iPod. 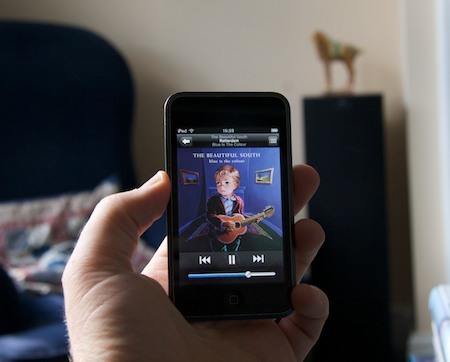 and configured my iTunes upstairs to play through the Airport Express, and suddenly I had wireless control of my entire music collection at my fingertips. 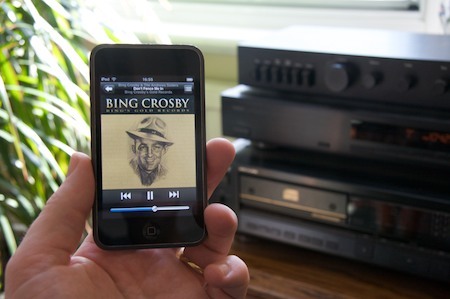 So now, sitting on the sofa, I can browse my music located in another room, and send it to the big speakers in this one. It really is a superb app. 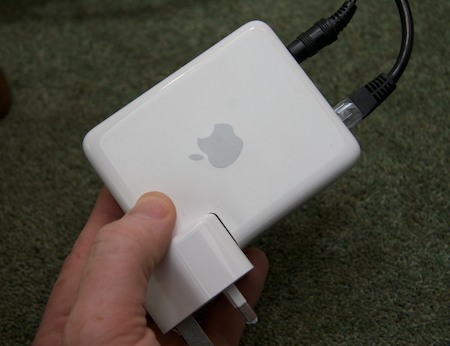 I’ve just bought an Airport Express of eBay to try this, and it’s superb! Thanks so much for the tip. This is my first experience with Apple’s routers and I have to say that using an Airport router with a Mac is a typically slick experience. I’m tempted to dump the old Belkin router that is the centre of my home network for an Airport Extreme now! Argh – my typo shame!